SALT LAKE CITY - Brain scans from nearly 200 adolescent boys provide evidence that the brains of compulsive video game players are wired differently. Chronic video game play is associated with hyperconnectivity between several pairs of brain networks. Some of the changes are predicted to help game players respond to new information. Other changes are associated with distractibility and poor impulse control. The research, a collaboration between the University of Utah School of Medicine, and Chung-Ang University in South Korea, was published online in Addiction Biology on Dec. 22, 2015. “Most of the differences we see could be considered beneficial. However the good changes could be inseparable from problems that come with them,” says senior author Jeffrey Anderson, M.D., Ph.D., associate professor of neuroradiology at the University of Utah School of Medicine. “Hyperconnectivity between these brain networks could lead to a more robust ability to direct attention toward targets, and to recognize novel information in the environment,” says Anderson. “The changes could essentially help someone to think more efficiently.” One of the next steps will be to directly determine whether the boys with these brain differences do better on performance tests. More troublesome is an increased coordination between two brain regions, the dorsolateral prefrontal cortex and temporoparietal junction, a change also seen in patients with neuropsychiatric conditions such as schizophrenia, Down’s syndrome, and autism, and in people with poor impulse control. “Having these networks be too connected may increase distractibility,” says Anderson. At this point it’s not known whether persistent video gaming causes rewiring of the brain, or whether people who are wired differently are drawn to video games. 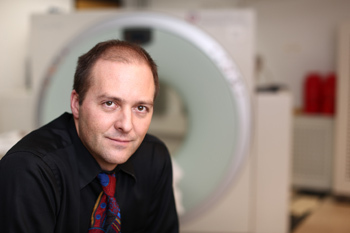 According to Doug Hyun Han, M.D., Ph.D., professor at Chung-Ang University School of Medicine and adjunct associate professor at the University of Utah School of Medicine, this research is the largest, most comprehensive investigation to date of brain differences in compulsive video game players. Study participants were from South Korea, where video game playing is a popular social activity, much more than in the United States. The Korean government supports his research with the goal of finding ways to identify and treat addicts. 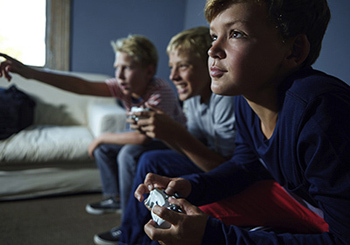 Researchers performed magnetic resonance imaging on 106 boys between the ages of 10 to 19 who were seeking treatment for Internet gaming disorder, a psychological condition listed in the Diagnostic and Statistical Manual of Mental Disorders (DSM-5) as warranting further research. 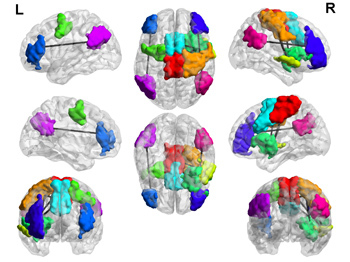 The brain scans were compared to those from 80 boys without the disorder, and analyzed for regions that were activated simultaneously while participants were at rest, a measure of functional connectivity. “Brain connectivity and psychiatric comorbidity in adolescents with Internet gaming disorder” was published in Addiction Biology online on December 22, 2015. In addition to Anderson and Han, the authors are Perry Renshaw from the University of Utah School of Medicine, and Sun Mi Kim and Sujin Bae from Chung-Ang University. The research was supported by a grant from the Korea Creative Content Agency.